Today, most folks agree that a smile is an important social asset, and can be an indicator of happiness, confidence, and success. On the other hand, if you are one of the millions who is embarrassed by the look of your smile, it can have negative impacts that radiate into all areas of your life. You won’t show your smile as often as you would like, so others may believe you are unfriendly or stand-off-ish. Your confidence and self-esteem suffer, and you may avoid social situations altogether. It can be hard to make a good first impression with an unattractive smile, and others may believe you don’t care much about yourself. A smile can speak a thousand words without you having to say a thing. Is your smile sending the message you want it to? KöR® Whitening is widely recognized as the world’s most effective teeth whitening system. If your morning coffee routine has taken a toll on your smile over the years, you’re not alone, and we can help! Your Hillsboro, TX dentist can remove years of stains with a single in-office whitening treatment! We also have take-home kits available if you prefer to whiten on your own time from the comfort of home. KöR® Whitening effectively treats a wide variety of teeth staining cases, including teeth stained by tetracycline and fluorosis. While, yes there are over the counter teeth whitening options you can pick up alongside your weekly groceries (how convenient), we highly recommend a professional whitening treatment for the best bang for your buck. 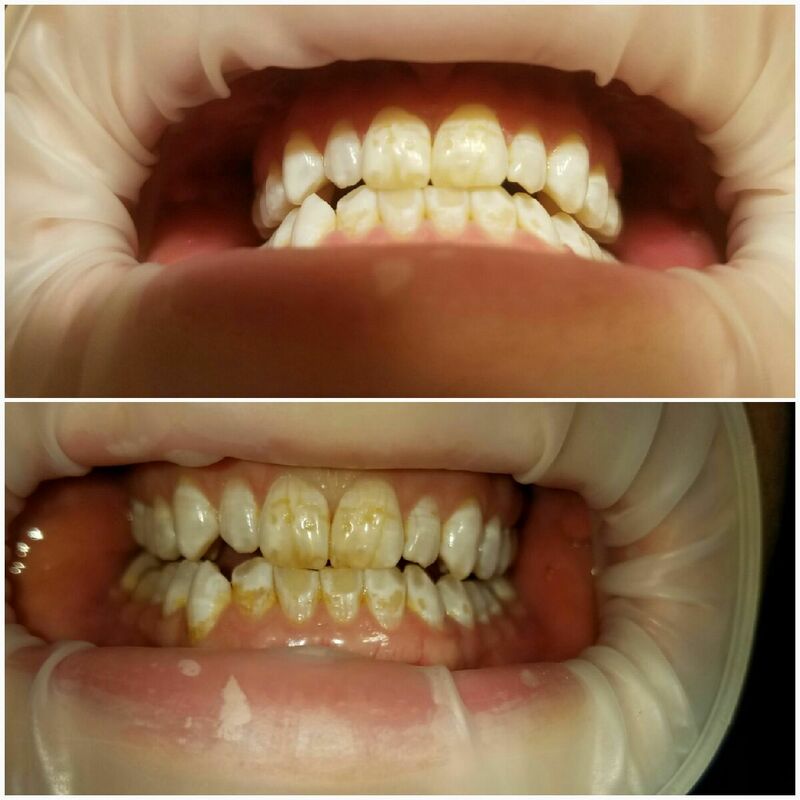 Whitening strips and toothpaste can be mildly effective at removing surface stains but will do nothing to remove those deep intrinsic stains that give teeth their color. If you wish to avoid stains in the future, we recommend minimizing staining agents as much as possible. The worst offenders include coffee, tea, red wine, and tobacco. But really anything that will stain a white t-shirt will also stain your teeth. Sip beverages through a straw to avoid contact with your teeth, and sip beverages quickly to minimize the time it has in contact with your teeth. Of course, you should maintain good brushing and flossing habits, and see your Hillsboro dentist regularly to keep your pearly whites pearly and white for as long as possible. Many patients are concerned with the sensitivity associated with teeth whitening. The truth is, some patients do experience mild to moderate sensitivity following a teeth whitening treatment, while some patients don’t have sensitivity at all. If you do, you can rest assured it is natural and normal, and no harm has been done to your teeth. Sensitivity should fade within a few days. If you are unhappy with any aspect of the appearance of your smile and wish there was a way to correct multiple cosmetic issues with a single procedure, you’re in luck! Veneers are thin shells of tooth colored porcelain that are bonded to the front of the teeth to improve their appearance. Veneers can correct a single problem tooth, or makeover your whole smile with a full set! Veneers are custom made to perfectly match your smile – no one will know you weren’t born with them! They are made from a beautiful, natural looking tooth colored porcelain to match the exact shape and shade you desire. Veneers are ultra-thin for minimum preparation of the natural teeth, but when bonded to your teeth, they become very strong and durable to stand up to the forces in your mouth and last you for a long time. Veneers are even more stain resistant than your natural teeth, although your Hillsboro dentist may recommend avoiding staining agents, as veneers cannot be whitened later on. Some preparation of the natural teeth is required to ensure the perfect fit and strongest bond. For this reason, veneers are a permanent decision – once you have veneers, you will always have veneers. Rest assured, though, all of our veneers patients are absolutely thrilled with their results! Veneers are a great option for patients looking to correct several cosmetic problems without the need for restorations, orthodontics and teeth whitening. Veneers can completely transform your smile in one fell swoop! 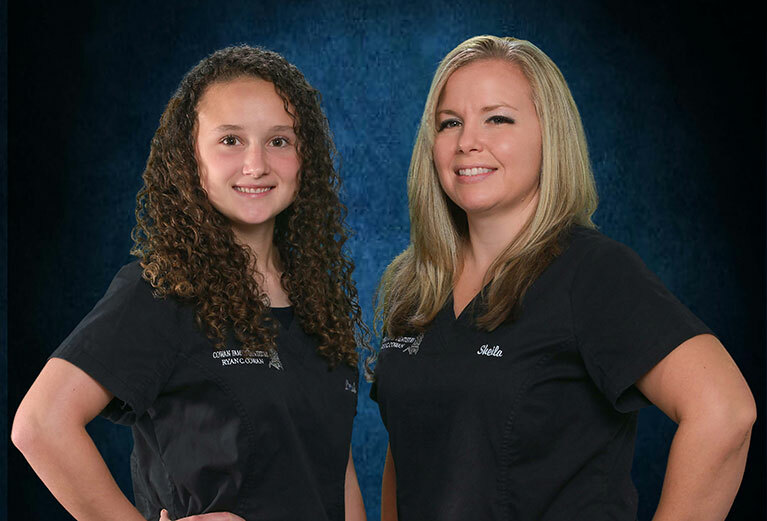 At Cowan Family Dentistry, we’re all about bonding! Our team is like a tight-knit family, and our philosophy of care relies on trusting relationships between our staff and our patients. But we also love bonding teeth! Tooth bonding or cosmetic bonding is the simplest cosmetic treatment available and can be used to repair and beautify your teeth without the need for a restoration, orthodontics and teeth whitening. We use a tooth colored resin material, the same material we use to fill cavities and create restorations, to paint over the surface of the teeth to correct a number of issues. If you’re looking for a simple solution to improve your smile, we would love to talk with you about bonding. A simple bonding treatment can drastically improve the look of your smile…without doing anything drastic! If you have any questions about cosmetic dentistry or would like to schedule an appointment with your Hillsboro, TX cosmetic dentist, Dr. Ryan Cowan at Cowan Family Dentistry, give us a call today at (254) 582-9555 or schedule a visit online!